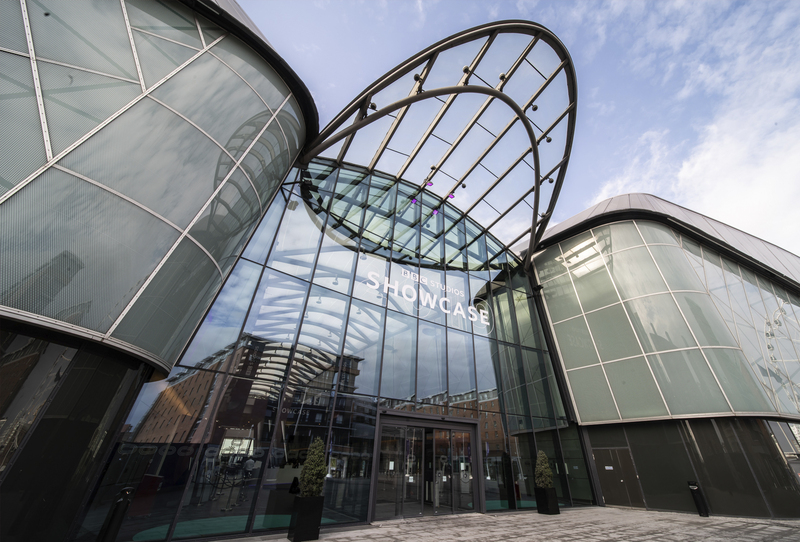 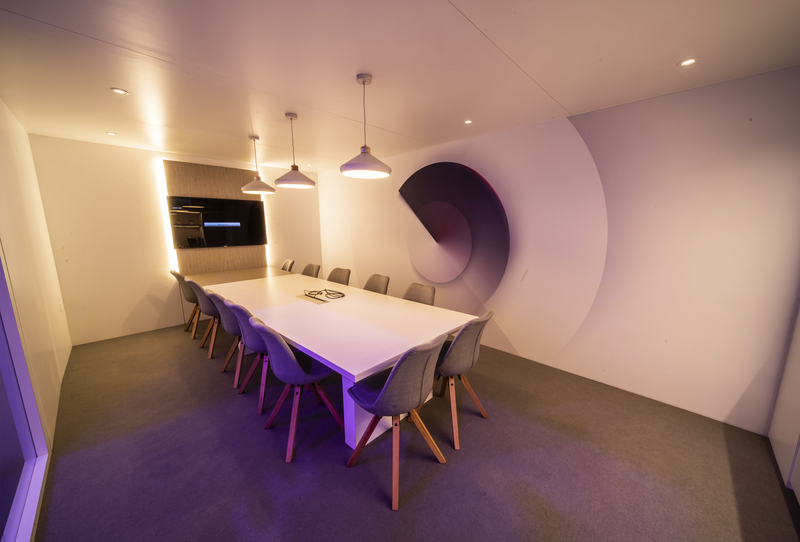 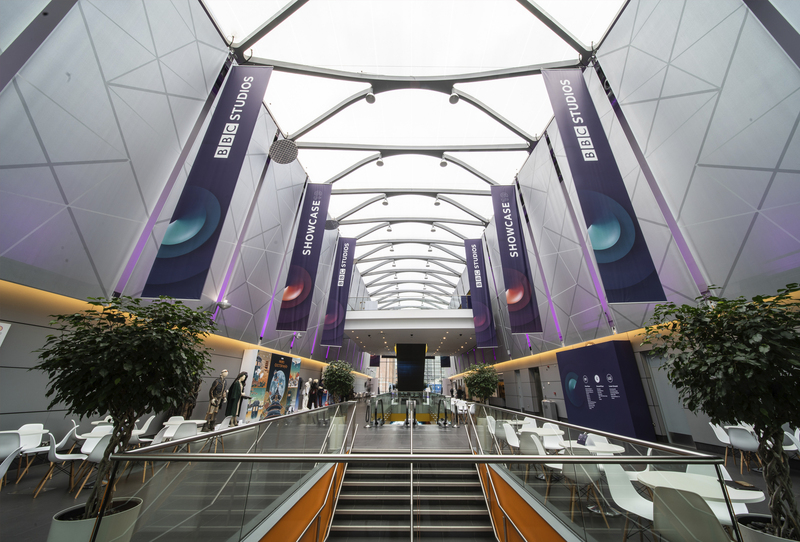 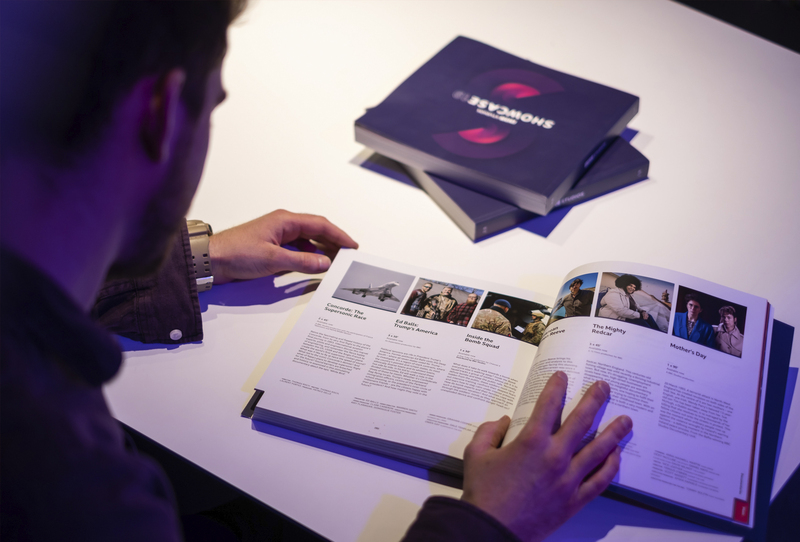 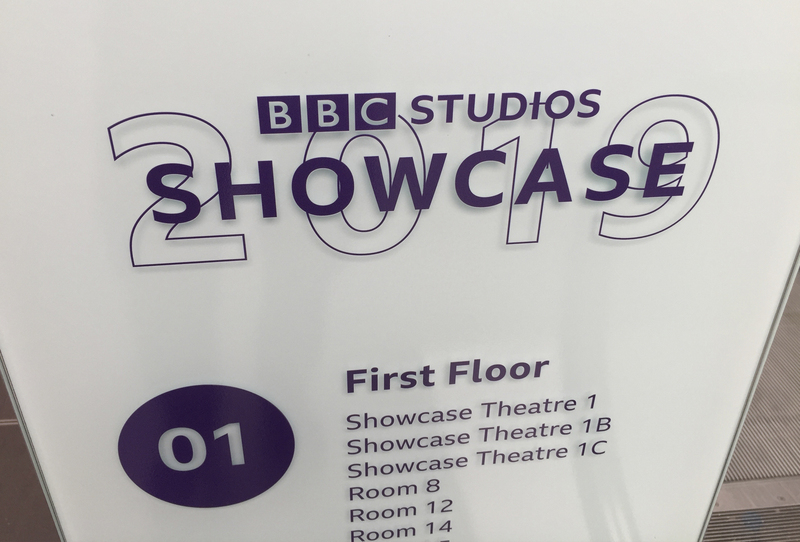 For 2019 the newly formed BBC Studios were implementing their new brand at the world renowned BBC Showcase at the ACC in Liverpool. 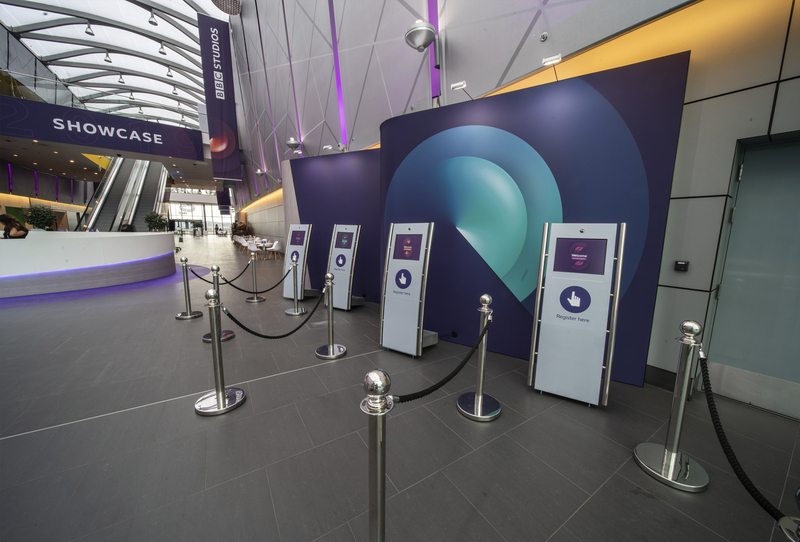 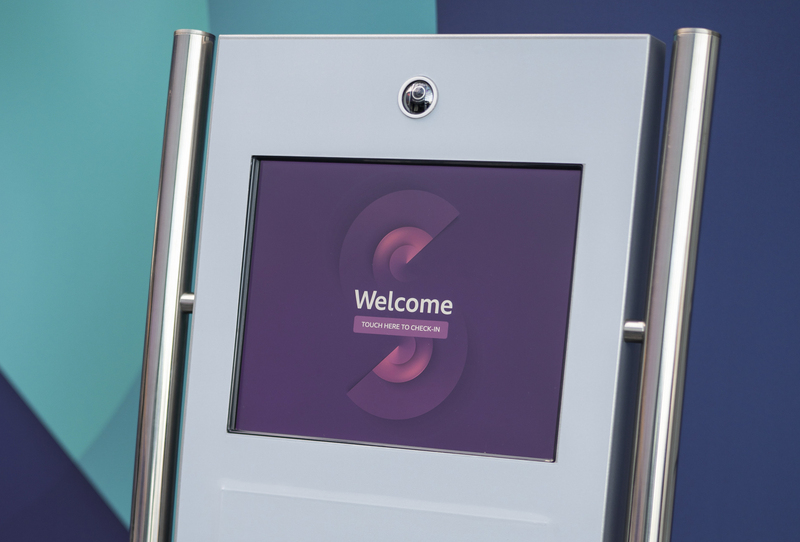 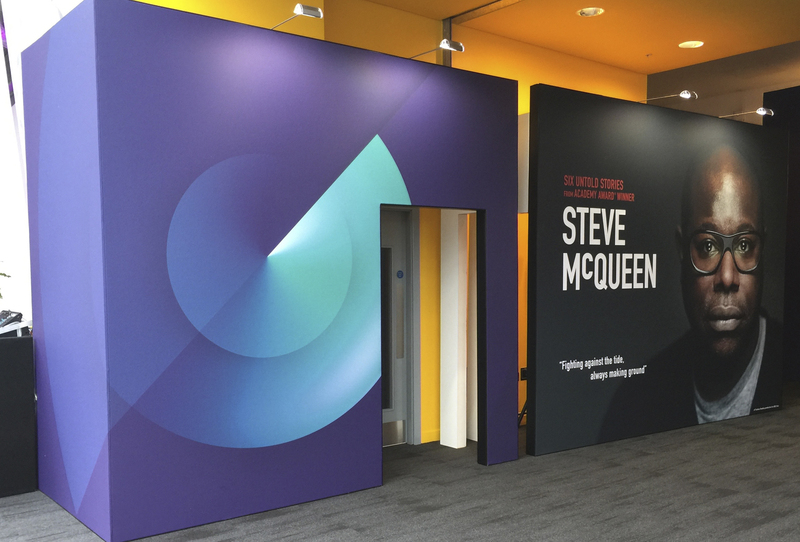 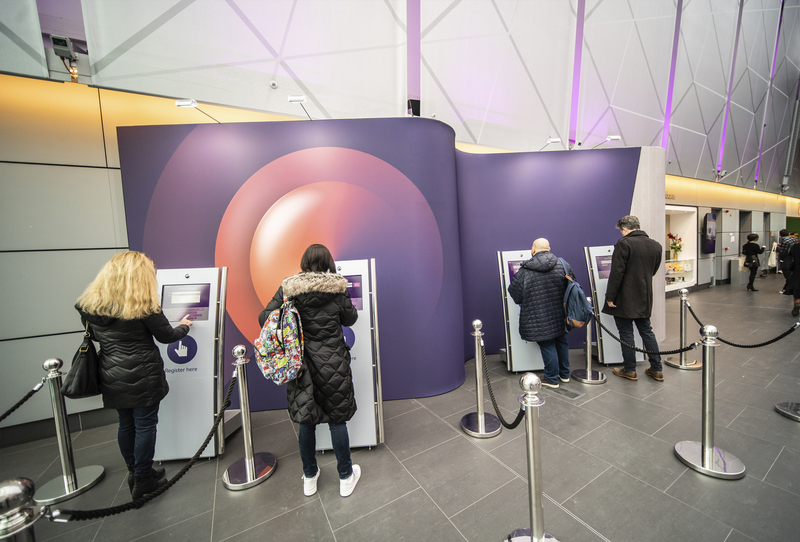 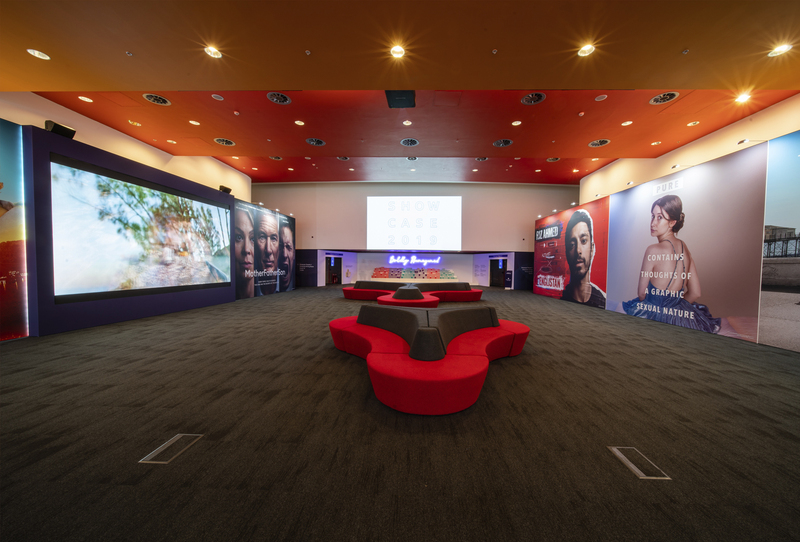 The first problem with the new Brand was that it was not fully worked out and the new “formations” required a complete set of assets to be built in order to implement the brand across so many different pieces of collateral which included 6ft wall branding, directional signage, digital screens, brochures, literature and promotional items. 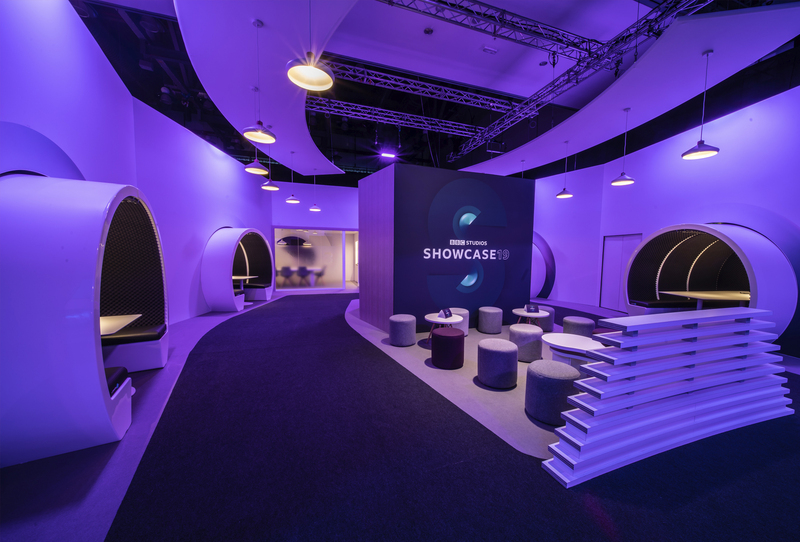 The formations consisted of complex blends and graduations, overlaying fading shadows and a 3D central graduating circle in various states of percentages, across four different colour ways all overlaying and interacting with each other. 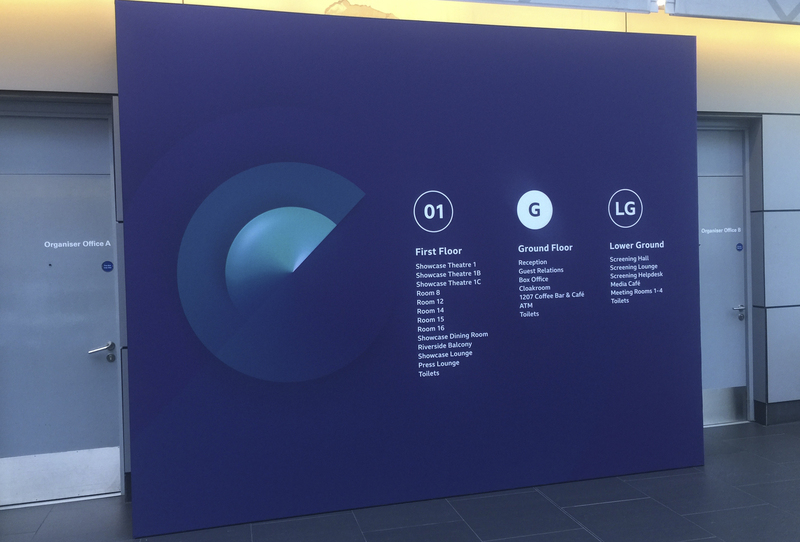 Five initial Formations were made in each of the four colour ways then various sizes created from an A5 square size to a Large Format 3 metre version, which all had to be rendered as flat files because the layered high resolution versions were unusable to print and work with. 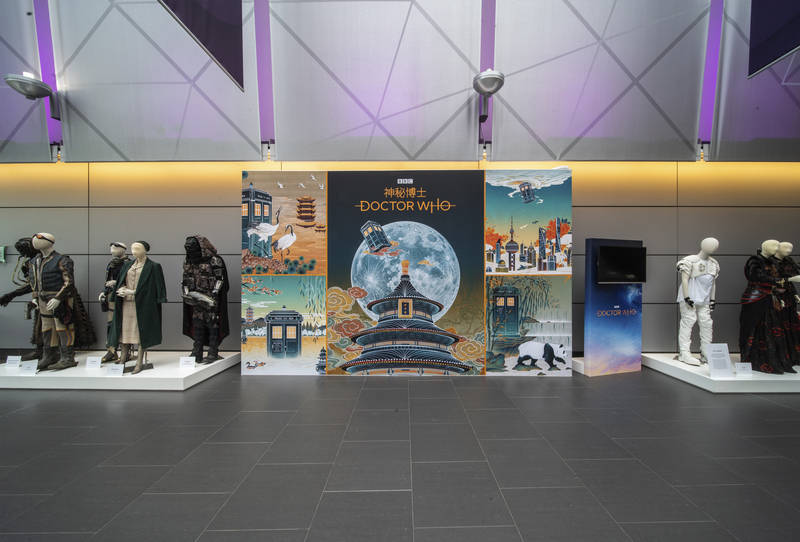 Once these were created, we then implemented them at the A5 small sizes for positioning and design work and then swapped out at final artwork stages to the high res larger versions. 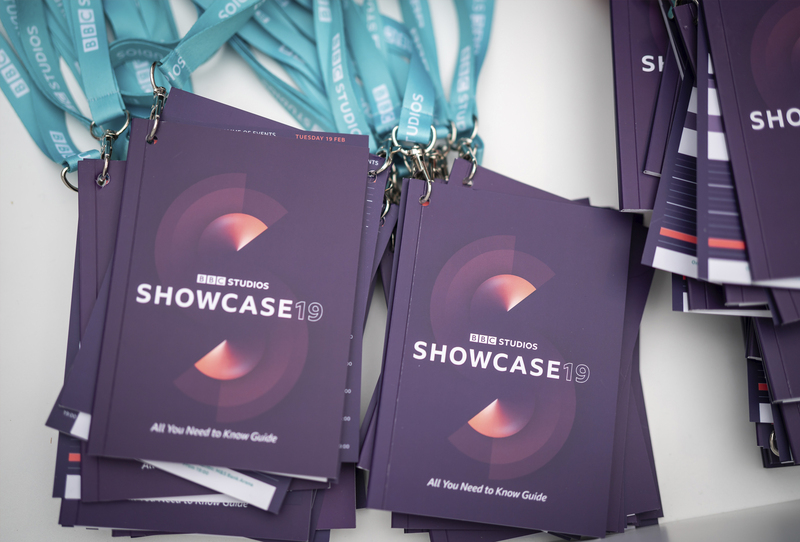 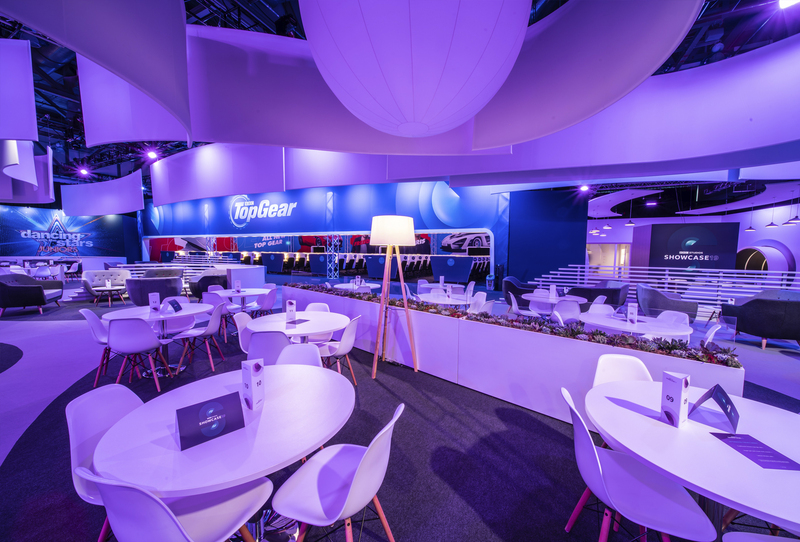 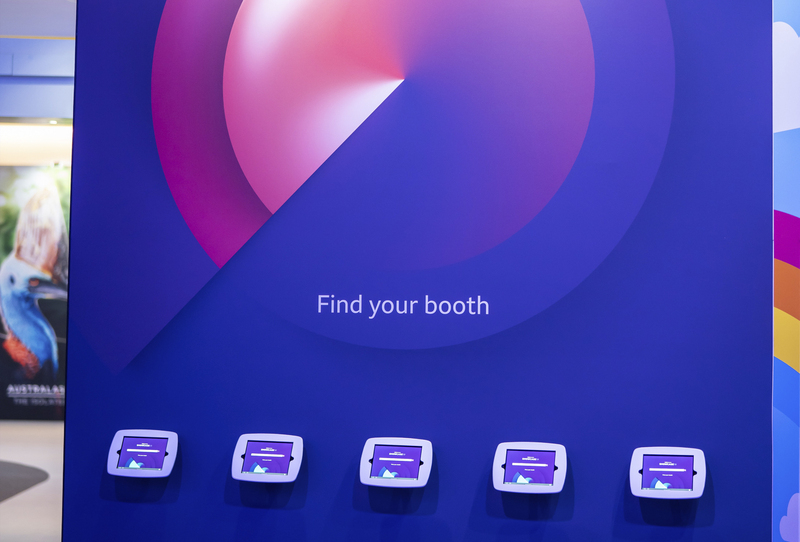 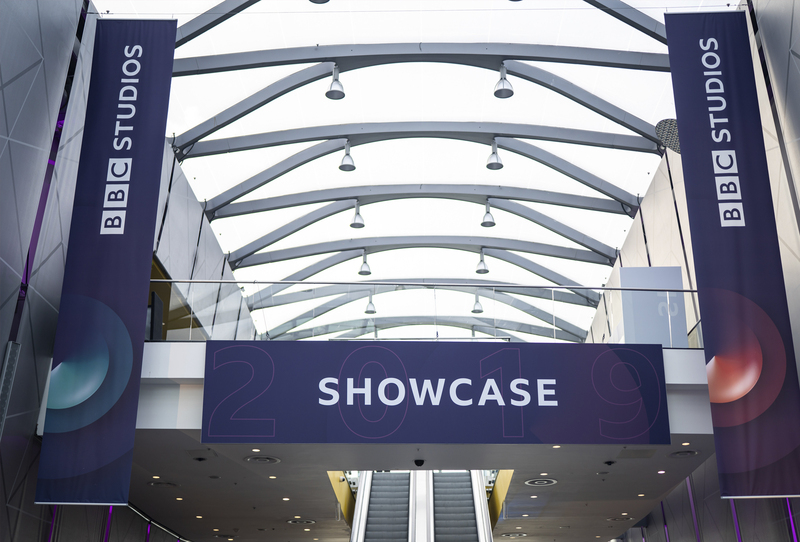 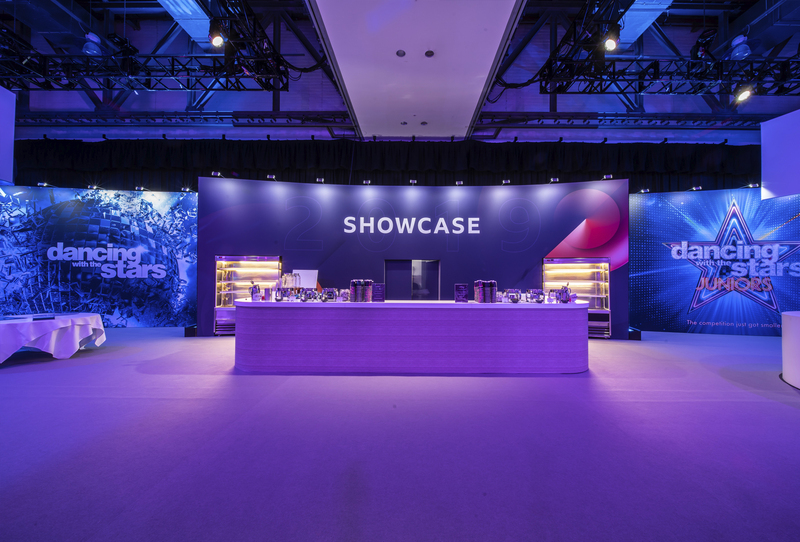 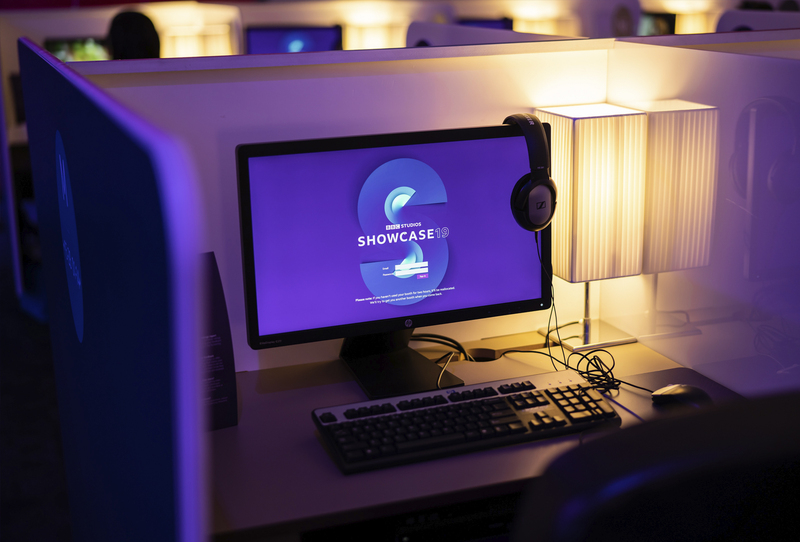 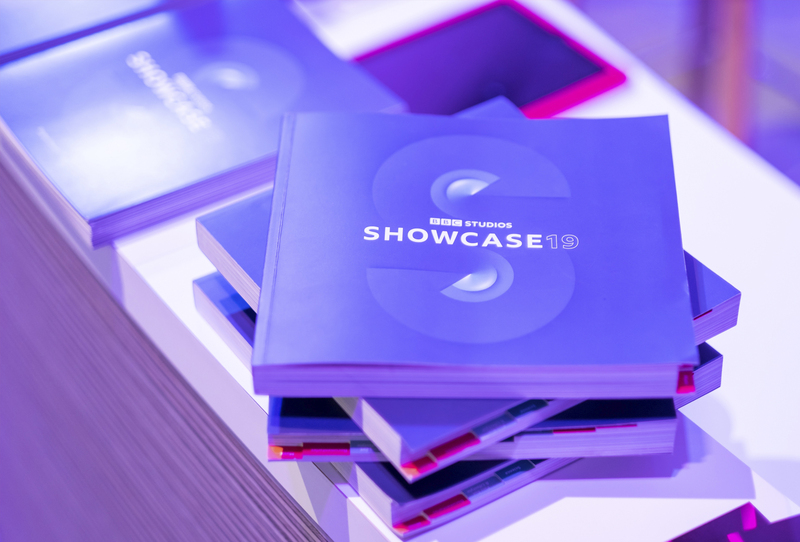 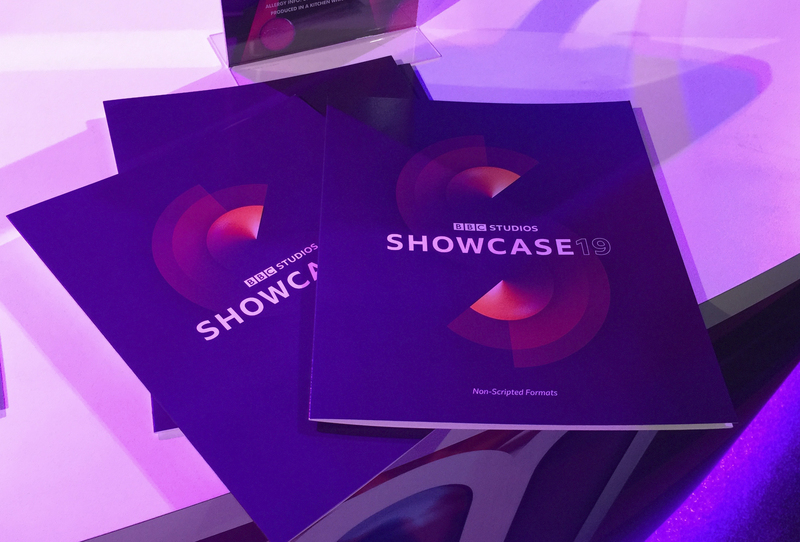 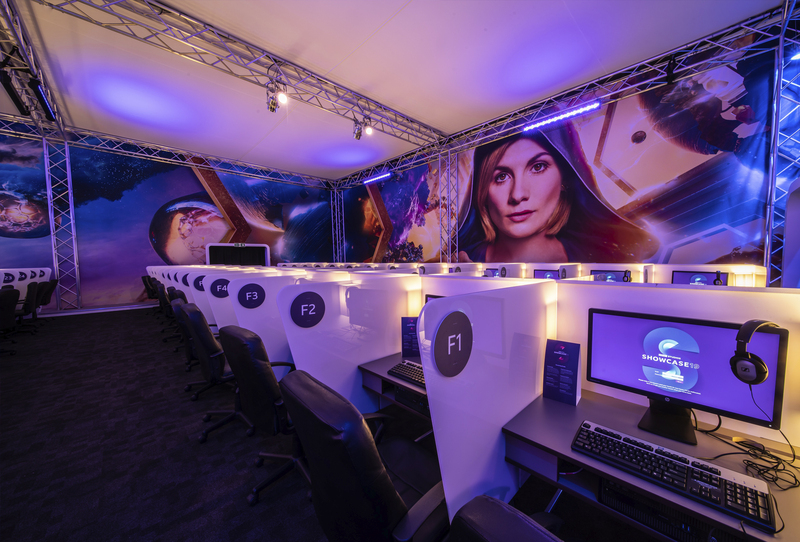 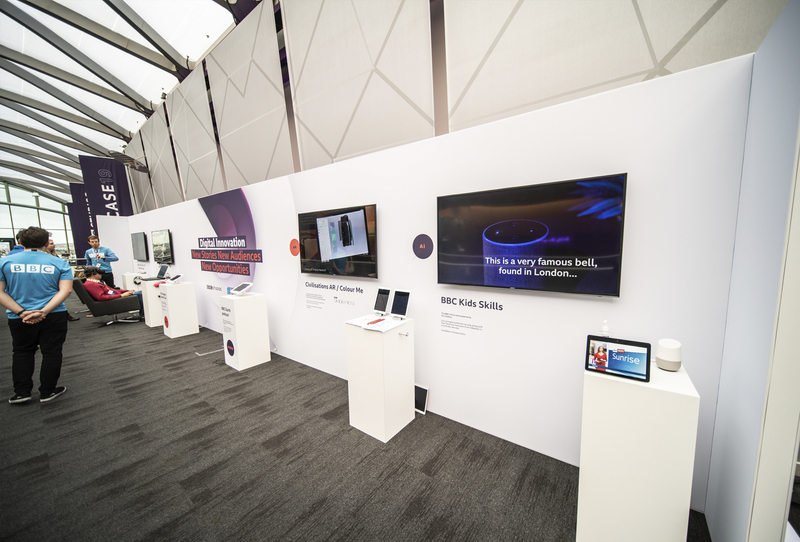 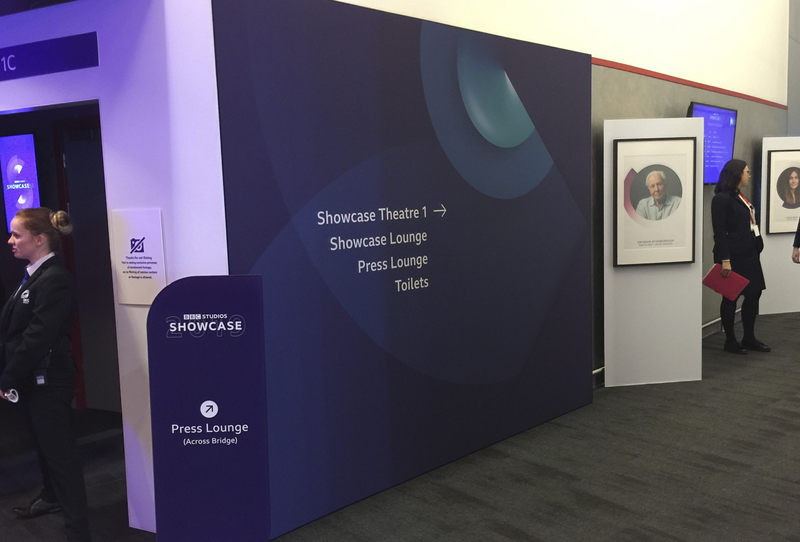 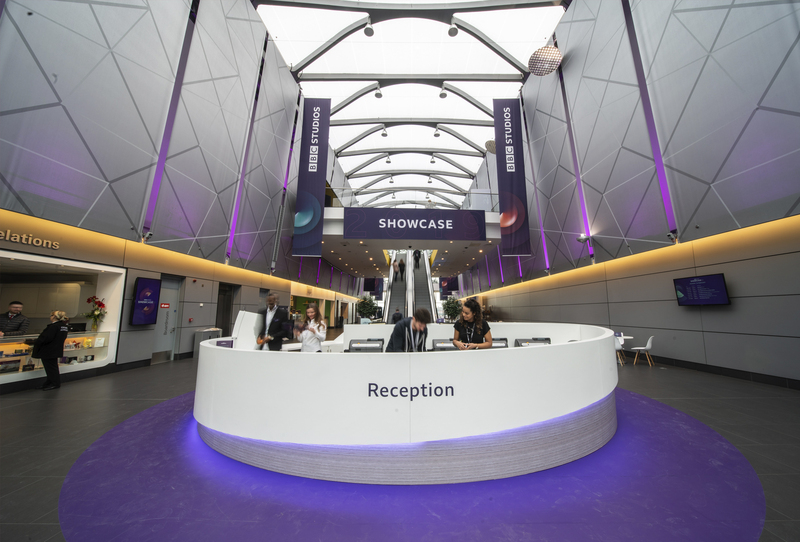 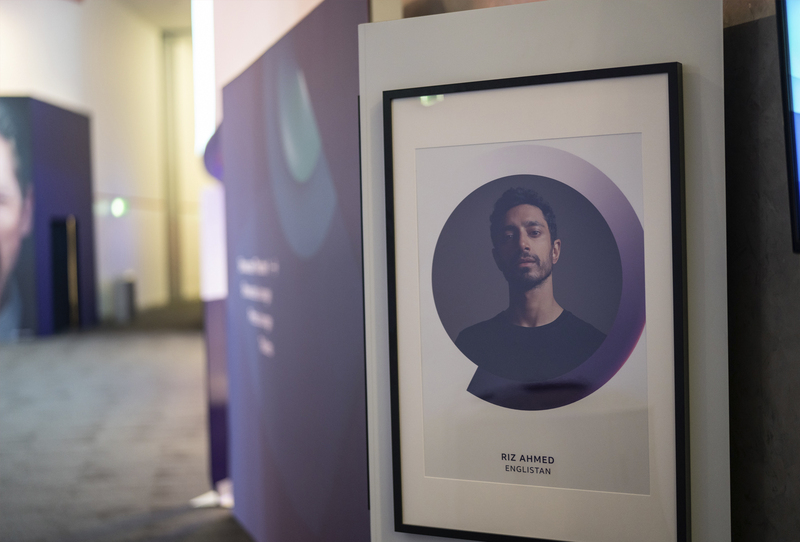 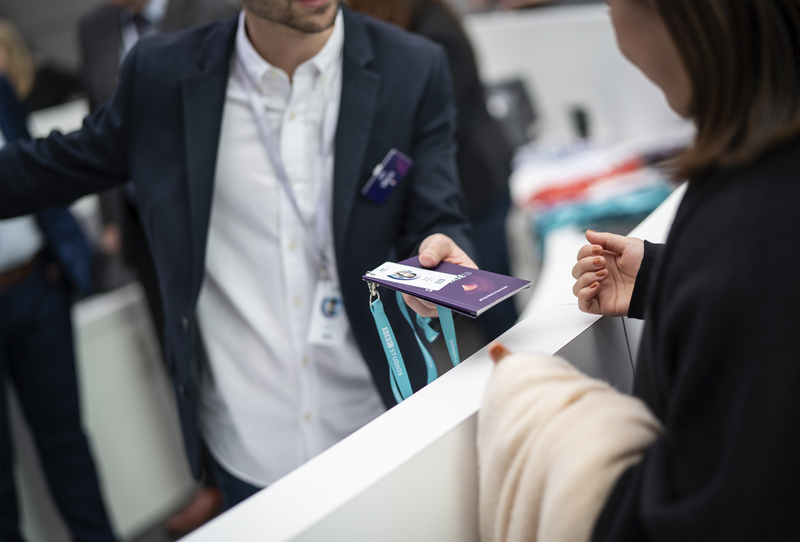 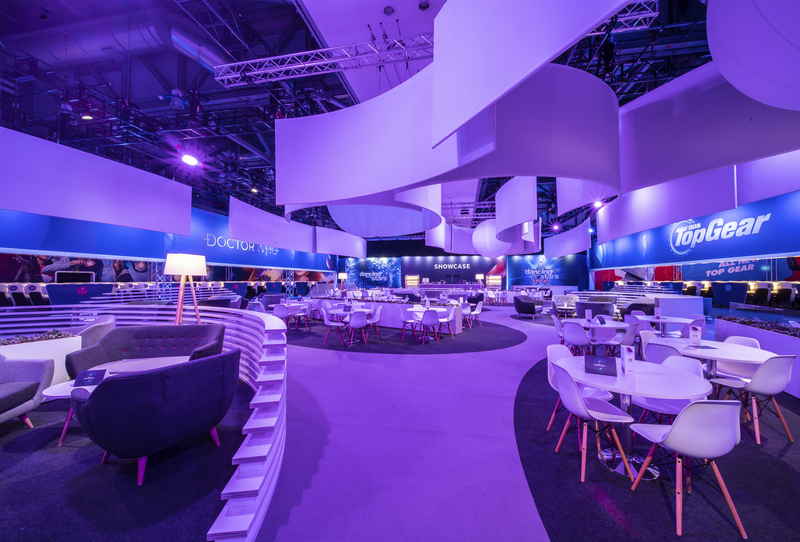 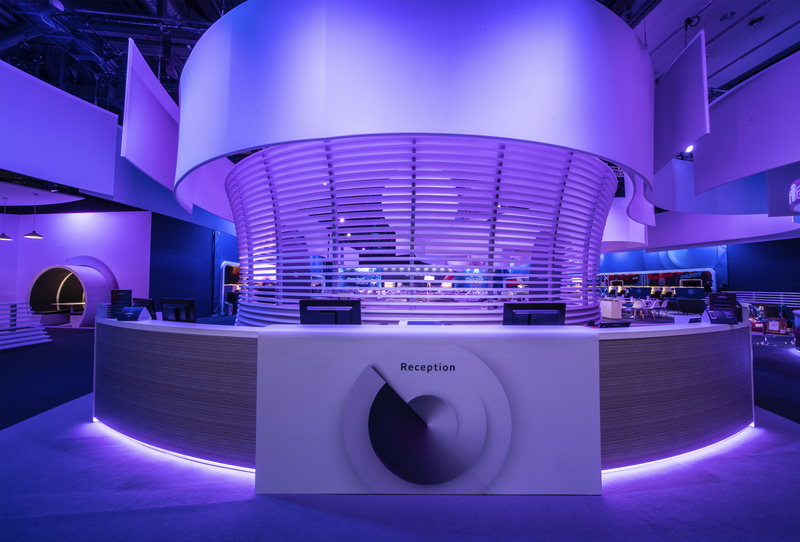 The branding throughout the Showcase 2019 event was a success and brought a cohesive look and feel that helped support and bring together the brands focus on the BBC Studios amazing content for the 2019/2020 season.